Just before the election, President elect Donald Trump, published his intentions for his first 100 days in office. It is insular and sequestered towards his take on focused American interests. From building walls to encouraging non-renewable pollution builders like shale, oil, natural gas and coal, which will result in undermining climate rectification. Withdrawal from the Trans-Pacific Partnership is a boon many would welcome, as alternative RCEP will be far more beneficial to the Australian economy. Tony Abbott the masterful beguiler of the Aussie Punter! Whatever your values on these intentions, what is emerging, is that since the election, he’s made statements that are at variance with the dialogue from his rallies and his initial plans. That “lies”, featured in Trump and Clinton’s campaign dialogue, has become par for the course for political bargaining with voters. 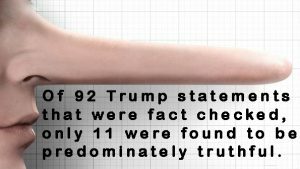 This “post-truth” phenomena drew criticism that the Trump campaign countered with assertions that the media should not be ‘fact-checkers’. Since the election, building walls, the death of Obamacare, the mass deportation of illegal immigrants, and the demise of the Iran peace treaty are all being quickly watered down in Washington. 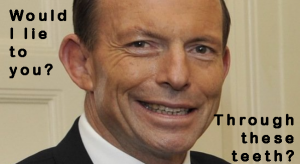 At least Tony Abbott waited a few months before he instigated proposals to make cuts to education, cuts to health, change to pensions, increasing GST and cuts to the ABC and SBS. While the Senate foiled many of the LNP’s valiant efforts to break their promises, much of the public showed their willingness to ignore Abbott’s apparent about-face. But lies are a negotiation the public has struck with politics for decades. Unless one engages in extensive fact-checking and pragmatic reasoning, such lies remain unchallenged; and many can’t be bothered to do so. Trump’s plans or renegotiations (or “lies”) are admittedly not standard Republican ideology. His thinking is hard to pin down, echoing sentiments from across the political spectrum. Trump is something else altogether. An interesting observation was made by an American teacher, which has landed her in hot water. 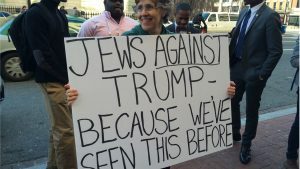 She was teaching students about the parallels between the rise of Trump and German dictator Adolf Hitler. 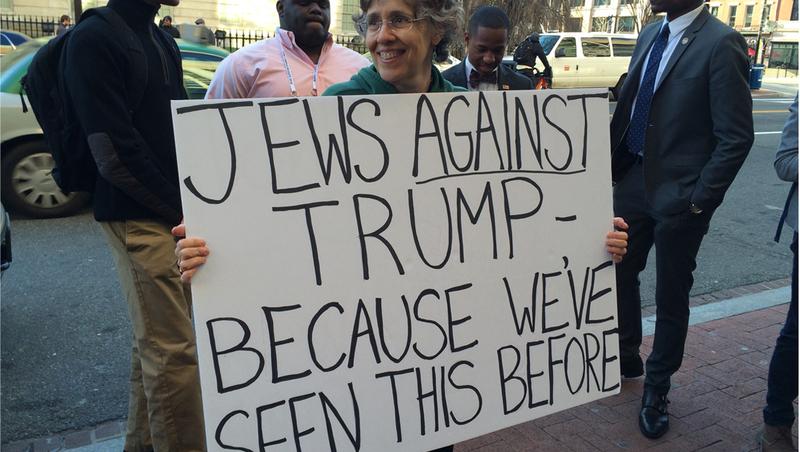 It’s an observation that has also been made by veteran Jewish Americans who fear the rise of a “new Hitler”. Gianni Riotta in the Atlantic disagrees with the assertion Trump is a fascist. She talks about a “brand of fascism” defined by Mussolini’s original Partito Nazionale Fascista rule. Being of Italian heritage, she is very wed to that being the only legitimate fascism. For folk like Riotta, unless they are goose-stepping down Broadway, it isn’t fascism. As though the final goal defines the process, but not, until you get there. Fascism deniers hold to the rather odd presumption that unless we have set up gulags in the manner that former Italian fascists did, then we are not there yet. Perhaps we should poll the unwilling residents of Guantanamo Bay, Manus and Nauru. 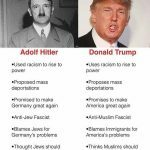 It is not an insignificant difference that America is a mature democracy, where Germany was not, at the time of Hitler’s rise. Hitler was elected Chancellor in January 1933 in what was a relatively new democratic system established in 1919. And in this latter American variation, there are both systematic differences and protections in place to stall degeneration into the Nazi’s historical outcomes. Nevertheless, striking similarities remain. Like America, the German economy had hit rock-bottom and was at the time recovering. Hitler also vowed to pull out of the Versailles treaty and repayments, much like Trump is pledging to renegotiate NAFTA and cancel the Pacific Trade Agreements. Both were promising to protect internal jobs and build infrastructure. In short, the familiar politico battle cry of “Jobs and Growth” was on both their agendas. Can Trump can be similarly successful? Trump’s immediate promotion of jobs growth was very similar in manner to Malcolm Turnbull’s approach in providing jobs for unemployed friends. Trump has engaged the former mayor Rudy Giuliani (if you go to the link, note Rudy’s unusual nickname), former Massachusetts governor Mitt Romney, retired Gen. Michael Flynn, and former federal prosecutor Jeff Sessions. Not unlike Malcolm Turnbull’s recycling of former MPs or George Brandis’s job stacking, Trump is “bringing jobs back” … to lobbyists and republican insiders. One of his more controversial “jobs for the boys” decisions has been the selection of Steve Bannon as Trump’s chief strategist. Bannon is the chairman of “Breitbart” the alt-right anti-semitic, anti-Muslim, misogynistic, racist, bigoted, conspiracy filled news site. No doubt some readers will find that description a little harsh, and I’d have to concede that “news site” is probably inappropriate. Trump’s choice of a strategist, is emboldening the rise of identity politics in America. Reminiscent of a familiar Nazi German salutations, “Hail Trump” echoed from attendees at Richard Spencer’s recent annual conference of the National Policy Institute in Washington. Like Trump, Hitler was not the popular candidate. Political machinations got Hitler into power, as he controlled the largest block of seats. For Trump, his path to power was winning the electoral college, not the popular vote. Both leaders lead a racist mass movement, along with being misogynistic and ultra-nationalistic, eliciting violent reactions from their attendees at national rallies. The difference in Hitler’s case was protesters who tried to shout him down, were ejected by Hitler’s army friends armed with rubber truncheons. Trump was not so organised, but his followers still ejected peaceful protesters, violently. Trump displays contempt for liberal democratic norms and has identified a class of people he is quite happy to direct blame for America’s failings. Muslims replace Jews as the preferred targets despite the unconstitutional nature of his desires. Hitler, equally, had contempt for the Weimar Republic Constitution which changed Germany from a monarchy to a parliamentary democracy. The original Nazi party was filled with disenfranchised youth as a movement, whereas the Tea party Republican adherents found their primary support from older white men. Trump represents an avatar for their anger, marginalisation and resentment. In both points of history, the people had lost faith in the ability of their government to look after them. Coupled with a loss of confidence in the civil system, they sought a political option that came from outside the “system”. Neither Hitler, not Trump spoke about exterminating the ethnic minority they were using as scapegoats, in their pre-election period. Hitler only talked about expelling Jews and removing their civil rights. Trump’s platform was to deport 2 million illegal immigrants, to eliminate birth right citizenship for the children of illegal immigrants and keeping Muslims out of America. There are differences worth considering here too. 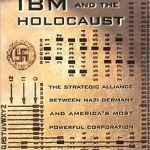 In the 1930’s data retention machines were primitive, but still, IBM rose to the challenge with a punch card sorting/cross indexing system to evaluate the census data to locate, identify and catalogue Jews. 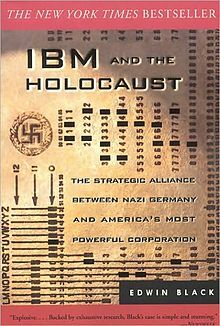 Without IBM’s help, the mass extermination of the Jews would have been logistically impossible. Today’s technology is streets ahead of anything IBM had then. IBM’s census collecting apparatus is so more sophisticated and accurate now, despite the issues Australia suffered via IBM on their last census. The American government with access to the NSA’s extensive data records on Americans – as Edward Snowden has revealed – can so quickly identify ethnic minorities. The Post-truth results on Trump. Hitler promised to make Germany great and restore national pride. In echoes of Charles Lindbergh‘s “America First” isolationists rhetoric, Trump claimed, “I promise to make America great” and then spoke of isolating America. 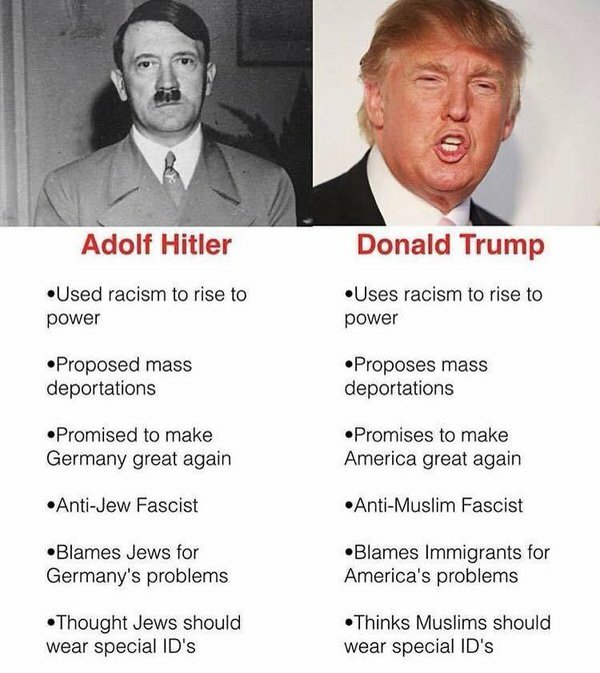 Hitler threatened and did persecute his political opponents, and Trump threatened to jail Hillary Clinton during public debates. He has since reneged on that, but his earlier rhetoric was worrying. Honesty among politicians in a “post-truth” era is unexpected, but even in Hitler’s time, a former finance minister described Hitler as thoroughly untruthful. 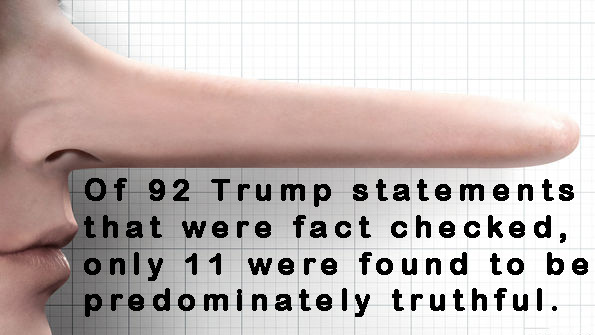 Washington Post gave Trump 3.4 “Pinocchios” (as compared to Hillary Clinton getting 2.2), and noted of the 92 Trump statements that were fact checked, only 11 were found to fall into the category of mostly true or neutral. Attitudes towards women by both Hitler and Trump were quite simply appalling and deeply misogynistic. Hitler and Mussolini declared themselves as opposed to feminism, while Hitler’s predominant offence was in objectifying women for reproductive purposes. As for Trump’s Billy Bush conversation, I am opposed to giving that any more oxygen than it already, by linking to it here. If perchance you don’t know to what I refer, then all I can say is, “Welcome back, I trust that your absence from civilisation over the last few months has not been unduly traumatic”. The results of Fascism take time. Under Hitler, unemployment figures began to drop. Public work schemes were introduced, and the German Labour Front was set up to “protect” workers. Measures to ensure the leisure time of the work force was entrenched. It was a good month after he was “elected” in 1933 before Hitler began suspending several constitutional protections on civil rights. 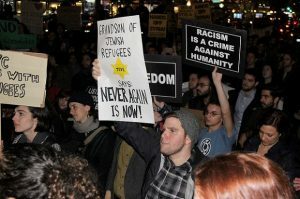 Jews didn’t lose their citizenship until 1935; about the same time conscription was brought in. Government income increased to ℛℳ15 billion Reichsmarks by 1939 (from ℛℳ10B in 1928) but then spending increased too. The invasion of Poland didn’t occur till 1939. Hitler had been in “legitimate” power for seven years by then. If Trump stays in power for two terms, he will have eight years to bring to fruition what he desires and the fact that four of the last five presidents served a full eight years is not encouraging. If you hold to the belief that Trump isn’t intimately aware of Hitler’s strategies, then you don’t want to read this. Of course there are subtle differences. It is 80 years later, after all. But in essence, how is any of this not similar in spirit (if not exact fact) to the rise of Hitler’s Fascist German Nazi Party? And on that point, I should acknowledge the impeccable research work of my wife, who provided me with far more comparative information than I could fit into this one article. Perhaps as Jeet Heer says, ”even if Trump is only fascistic rather than a fascist, that’s more than scary enough“. However you phrase it to make yourself feel more comfortable and sleep well at night, in the end the question remains, where will the rise of Trumpism take America and the rest of the world? Good luck America!